Promising high quality testing equipment for sure short result, accuracy and reliability, suitable for various industrial requirement specially for textiles. Color Matching Cabinet provides a technical and visible test for matching colors of fabrics, plastic and textiles. It uses multiple light sources to ensure that samples are of same color. It can differentiate even the minutest change in tone and brightness. It uses UV light, Cool White Light and filament light to ensure uniformity. 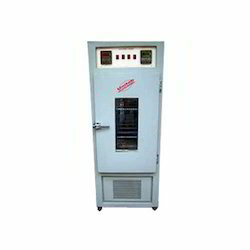 Button Pull Out Tester is necessary tool for putting quality first in textile industry. It tests the snap strength of cloth accessories like buttons joints and rivets. Snap strength of materials decides the force it will take until it breaks. The machine ensures that the buttons and other joints comply with the set standards. 220 mm 285 mm 665 mm. 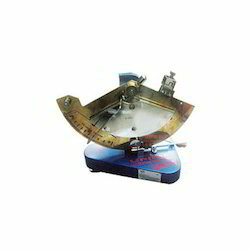 Flammability Tester Inclined Plane Type is essential to gauge the fire resistance of a particular fiber. It is important to gauge the safety of clothing in terms of fire safety. 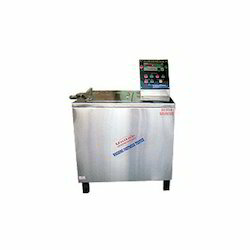 The body is robust and made of stainless steel draught proof ventilator that is placed vertically. 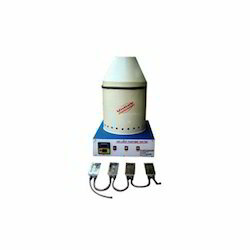 It ensures that the test sample is at a distance from the micro burner. HTHP Beaker Dyeing Machine produces ideal condition for dyeing textile samples. It uses high temperature and pressure settings to ensure fast colors. It helps in fixation of color in between fabric and sets a strong bond between molecules. They are perfect for pure and meshed fiber and thus are ideal for every textile genre. Textile industries require dye drying an apt moisture level to ensure fast colors and Conditioning Chamber ensures proper moisture levels for clothes. The bring equilibrium in samples by maintaining a stable temperature. They deploy two temperature control method to ensure better uniformity of chambers and sensor accuracy. The measuring tools are digitalized for accurate and zero error readings. 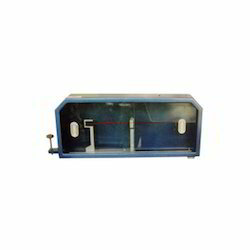 Tearing Tester is used to gauge the internal strength of the materials like paper or clothing. It detects the strength of cellulose. It facilitates automated specimen notching, pneumatic hold avoids slippage of standard specimen. It can be placed flexibly in the place and can take in standard specimen with ease. The addition of safety hood protects from injury. When it comes to accurate yarn counting Beasley Balance provides the best possible solution. The aluminum body is light weight and has a stainless steel hook for yarn placement. The structure is pivoted with the help of two jewel bearings. It’s sliding transparent window cuts off air supply to maintain accuracy of the material. Digital Light Fastness Tester Is used to see the tenacity of colors against sunlight. Mercury blinded tungsten lamp plays a crucial role in providing the apt environment. They can work efficiently for any fiber and provides accurate readings. The components last long and there is no need for regular maintenance. 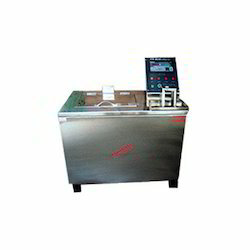 Stainless Steel body of Washing Fastness Tester helps it to gain a sturdy structure. It is used to determine the fastness of color on first washing. 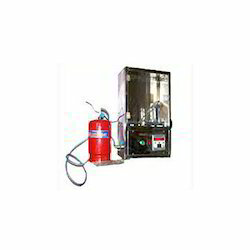 It can take heavy and continuous load without hassles. It provides accurate readings through digital meters that provide the best solutions when it comes to determining quality.